Synergyse chose to focus on enhancing training for Google Apps because of the continuous innovation it brings to the enterprise and education spaces. We built Synergyse Training for Google Apps, a fully interactive, measurable and scalable training solution that has been deployed throughout organizations and educational institutions globally. 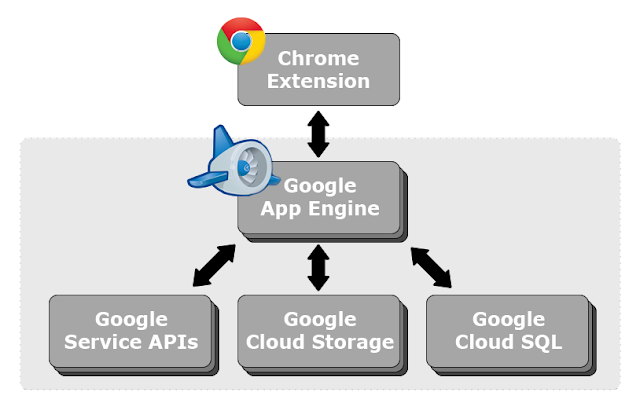 We chose Google Cloud Platform and Google Chrome Extension as our technology stack. Going with Google App Engine is a perfect fit for us, because as a cloud service we don’t have to worry about IT issues with our servers and we get automatic scaling. At an early stage of development and deployment it might be especially hard to predict what the next year of usage is going to be like. App Engine allows us to focus on our product and not worry about fine details of operating the backend as much. App Engine also seamlessly connects to other Google services. Pro Tip: Before deploying the latest code to App Engine, change the version in “appengine-web.xml” file. Next, go to the App Engine Dashboard and select your app. Choose Versions in the menu. From here you can choose who gets what version of your backend. Default version is served to everyone, while traffic splitting lets you test new versions on a smaller set of users first. For staging, we force our extension to access a specific version of the backend by pointing it to ..appspot.com. Synergyse Training for Google Apps uses Google Cloud Platform and Google Chrome Extension to deliver its training to people around the world. With Google App Engine we get security, reliability and automatic scaling out of the box, which lets us focus on core product development. Google Chrome is a perfect vehicle for overlaying Synergyse user interface on top of Google Apps using the latest standard web technologies, and makes for an easy deployment process to our customers. Today’s post is from Alex Kennberg, VP of Engineering at Synergyse. In this post, Alex describes how their company uses Google Cloud Platform to build their training solutions for Google Apps.